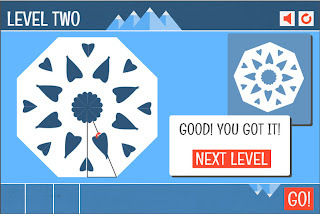 After 2 months of severe coding training, each student was assigned to develop their own games. Our team, me and Yonathan Wolowelsky, got an idea for the game from Pikkujoulut (annual pre-Christmas party among the all IMP students). During Pikkujoulut, there were various marvelous paper snowflakes made for decoration, and they definitely caught our eyes. Once we got the idea, everything went so well. Thanks to our great professor Juha Ollikainen, we could develop our game without being frustrated. 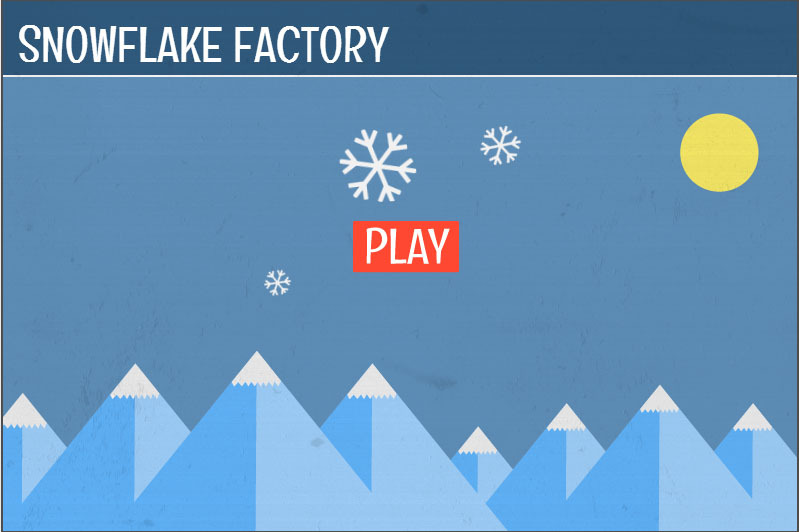 Basically, in this game you have to guess what kind of shape you should have to get certain shape of snowflake. You can drag small pieces from the bottom of the screen into a right-angled triangle and you can also rotate small pieces. Once you finished positioning all the small pieces, click ‘GO!’ button, and you will see whether you made a correct guess or not! 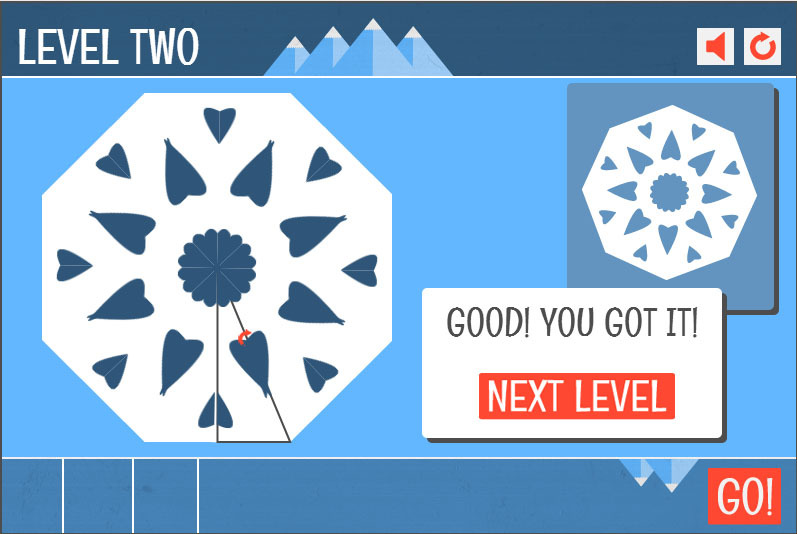 So far, we’ve made four levels and the last level might be quite challenging for some of you. Try it! Hope you enjoy and if you have any feedback or comment, feel free to let us know! Created by: Yonatan Wolowelsky and Bo Kyung Kim.